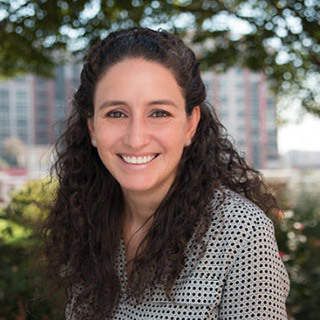 Dr. Marina Burdusi is a Maryland native who graduated from Goucher College in 1997 with a Bachelor of Arts in Biology. In 2002, she received her DDS degree from The University of Maryland School of Dentistry and completed her General Practice Residency at the University of Maryland Medical Hospital in 2003. She was also an attending dentist at the University of Maryland School of Dentistry’s Special Patient Clinic for 2 ½ years, specializing in treating special needs patients. She is a member of the Academy of General Dentistry and is passionate about dental continuing education studies. Dr. Burdusi has studied at the prestigious Pankey Institute, which focuses on Relationship-based high-quality dentistry. It is also one of the oldest learning centers for dentists in the world. L.D. Pankey founded it in 1969, and ever since then, dentists trained there are shown how to create a practice that focuses first and foremost on caring for patients as individuals in a professional manner. Having trained at Pankey, Dr. Burdusi is fully committed to her patients’ best interests, providing them treatment options that will improve not only their smile, but their long-term health, their comfort, and their appearance. She wants to take all of your personal preferences and concerns into account before every procedure to ensure that you’ll be fully satisfied with the results. She will always take the time to listen to everything you have to say, build a strong relationship of trust, and partner with you throughout every step of the oral healthcare process. The best part of her day is loving what she does and creating beautiful smiles with happy patients. Her practice focuses on Cosmetic dentistry, TMD, Invisalign and comprehensive care. Her goal is to help you create a dental health plan, which will enable you to keep your beautiful healthy smile for a lifetime. In Dr. Burdusi's spare time, she enjoys gardening, cooking for friends, and home improvement projects, but mostly being with her family and her 4-year-old daughter. On weekends, she can be found in the kitchen cooking lots of food for her Big Fat Greek family.